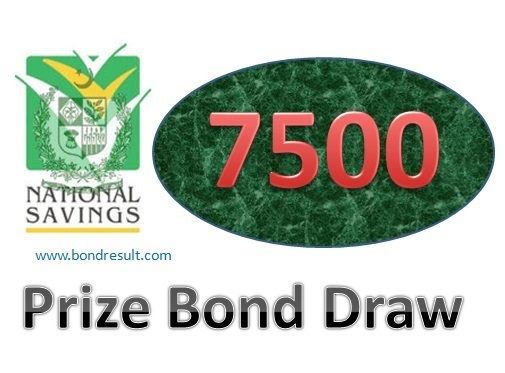 Multan (Monday, February1, 2016):- The directorate of National saving department Multan office will draw the balloting of 7500 Prize bond Draw on 1st of February 2016 at Multan. The other big bang time is for you to be first in the money making in a day. The will be the 65 draw number of seventy five hundred rupees till so far. National savings of Pakistan Prize bond Rs. 7500 draw result list will be drawn out on 01-02-2016 Monday at Multan city. The first winner of this prize bond will be eligible for taking out Rs.15,000,000 that is only one prize. The second winner will get Rs.5,000,000 prize that will be given to 3 numbers. And the other members of 1696 bonds holder will get also handsome amount of ninety three thousand rupees.